we went new coffee shop near NISHIYAMA RYOKAN. 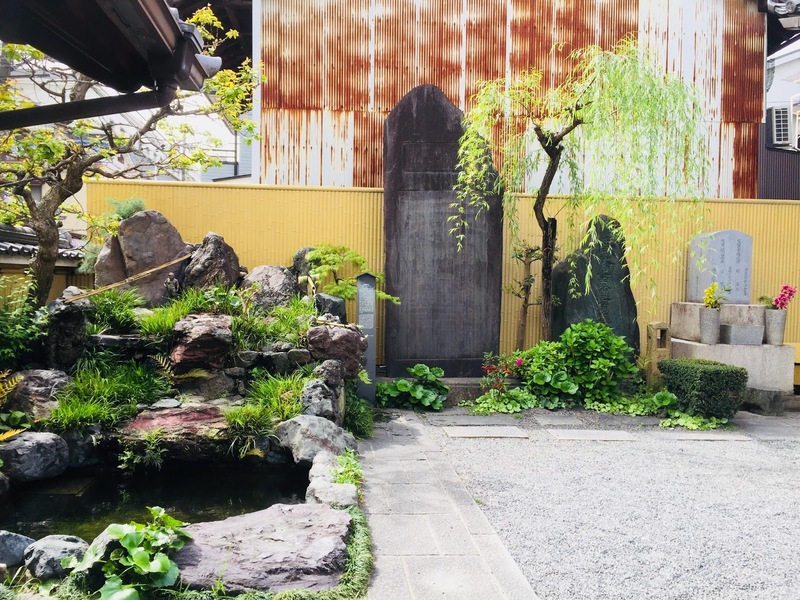 the shop has small good garden. 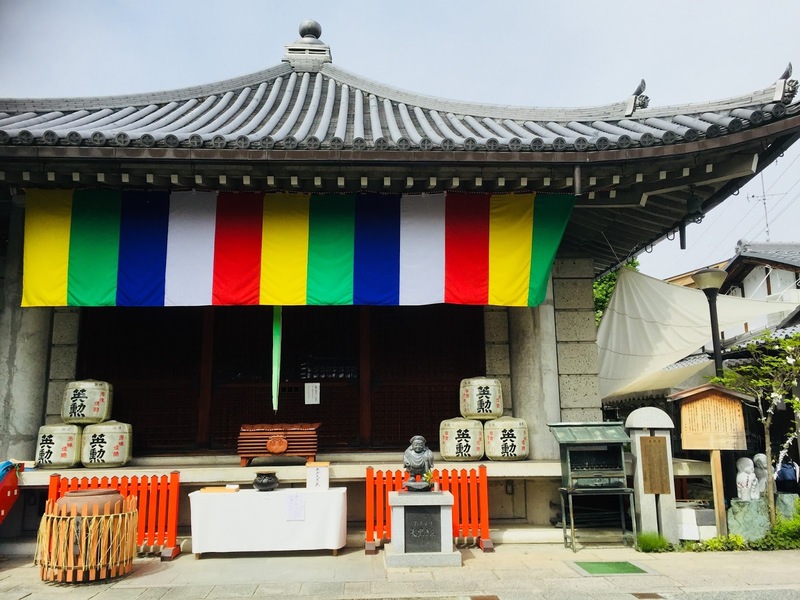 it take 10 minutes from NISHIYAMA RYOKAN to this coffee shop by foot. 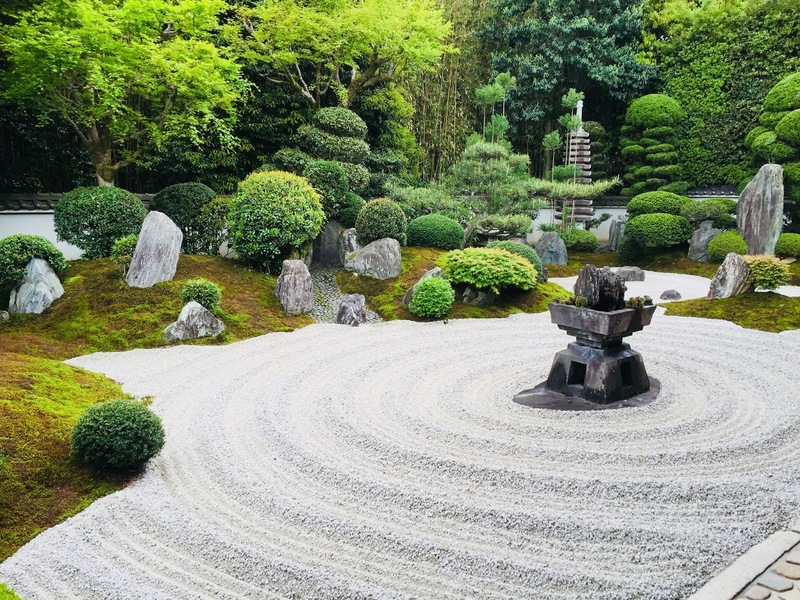 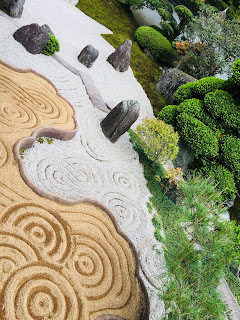 We also visited the garden of REIUN-IN in TOFUKU-JI. This garden express the world of Buddah. We had a Tofu dishes for lunch at Okabe-ya restaurant. 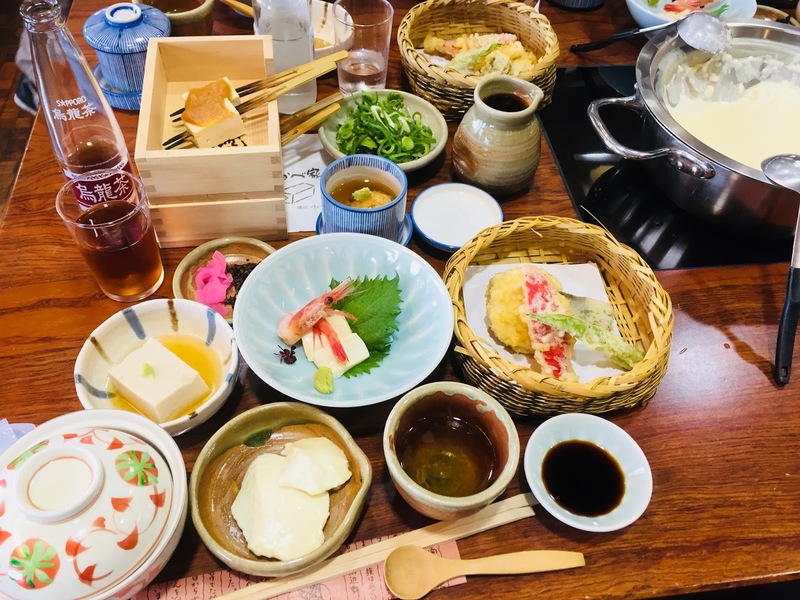 You can make Tofu from scratch! 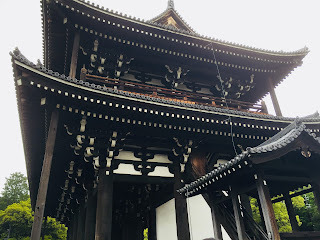 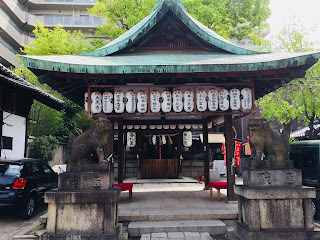 This gate has been designated as a national important cultural property. 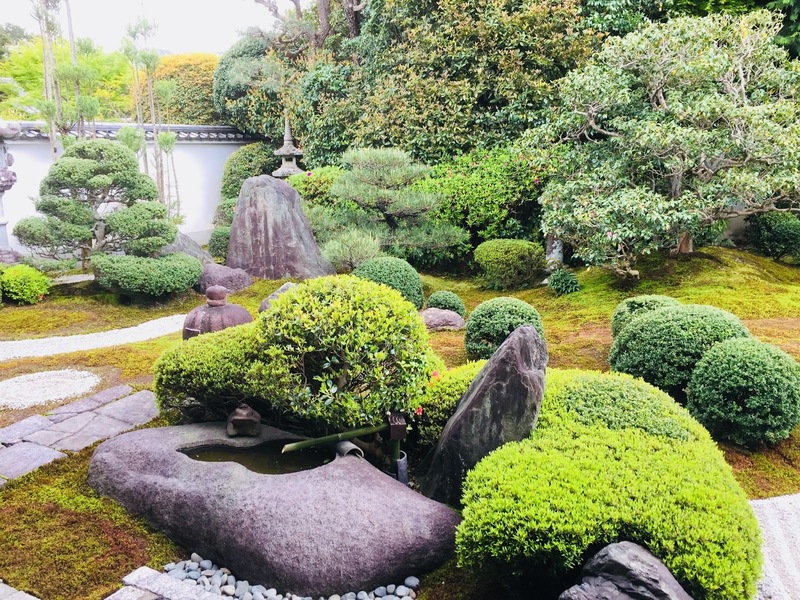 You can find a statuette and a fountain there. These bring a luck for your business to you. You will be able to have a luck with money. 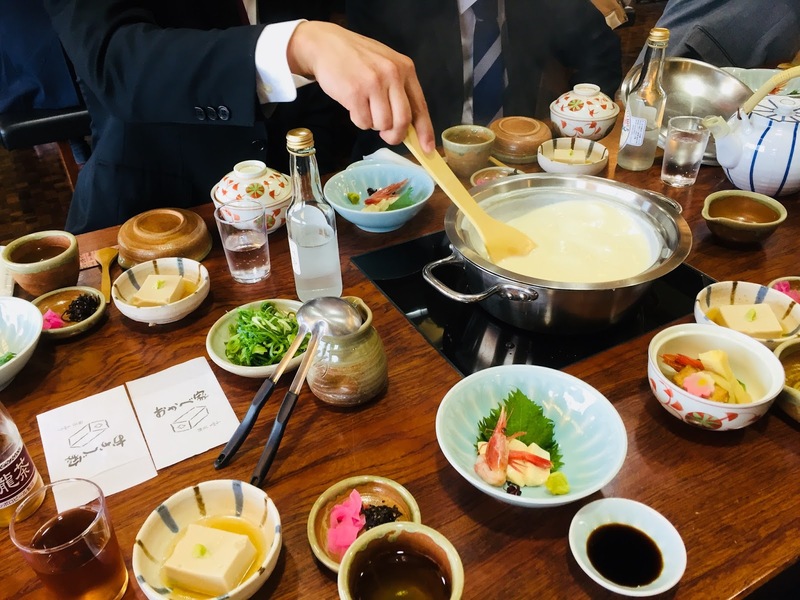 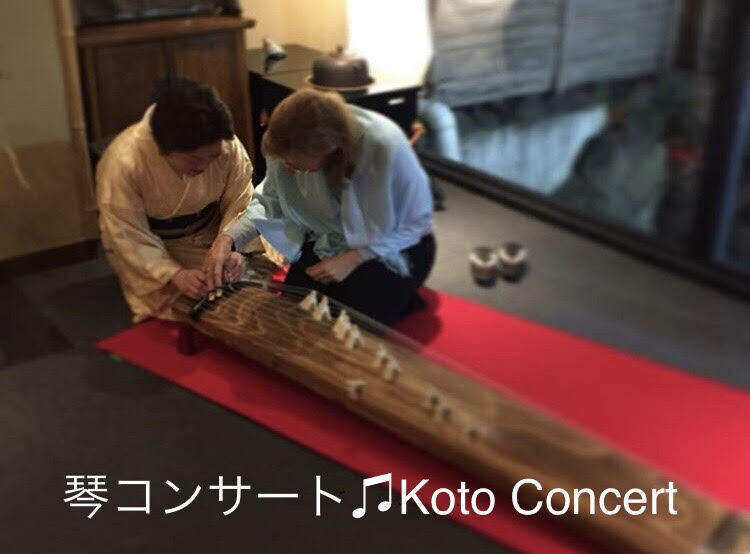 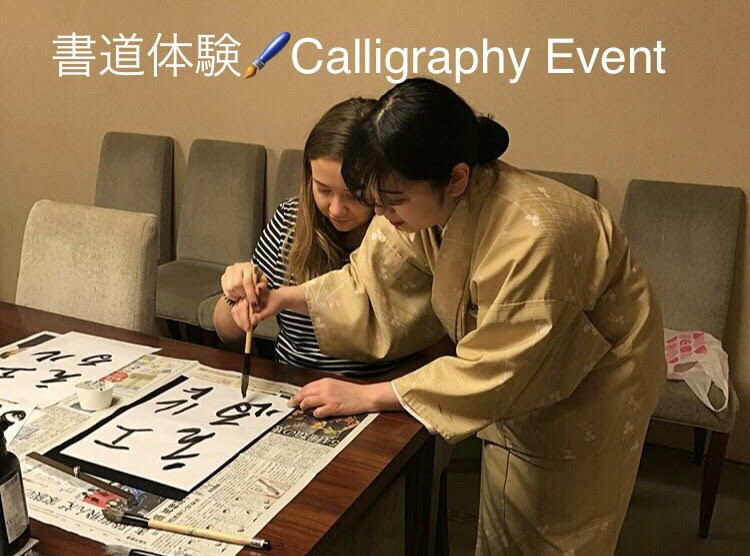 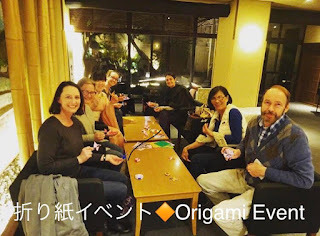 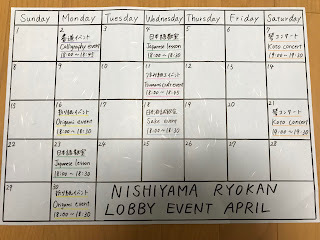 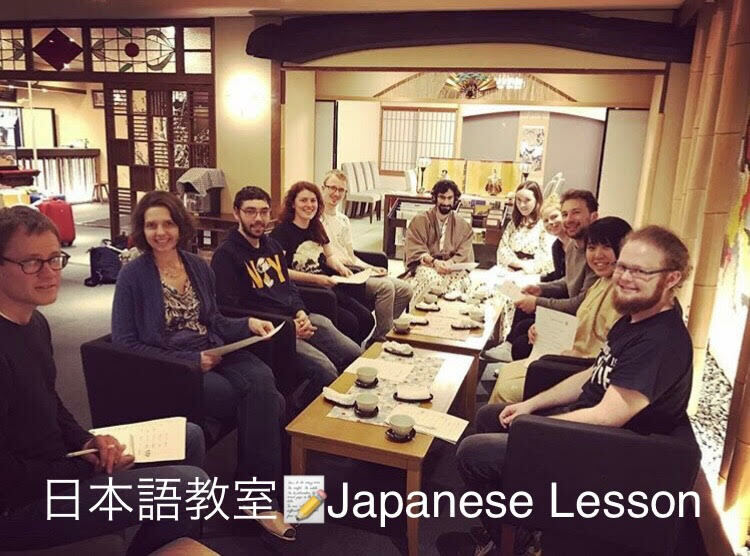 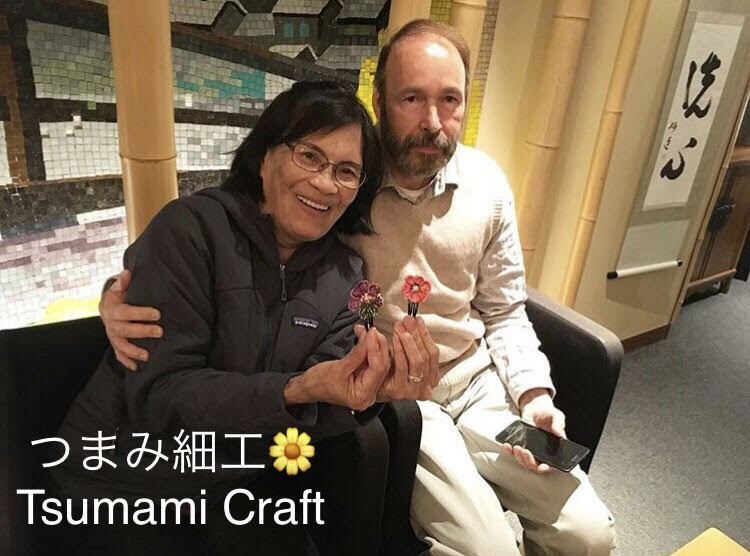 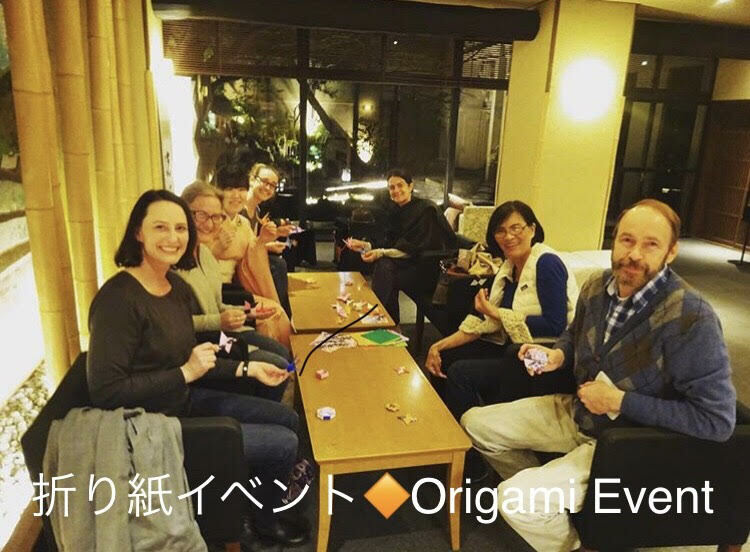 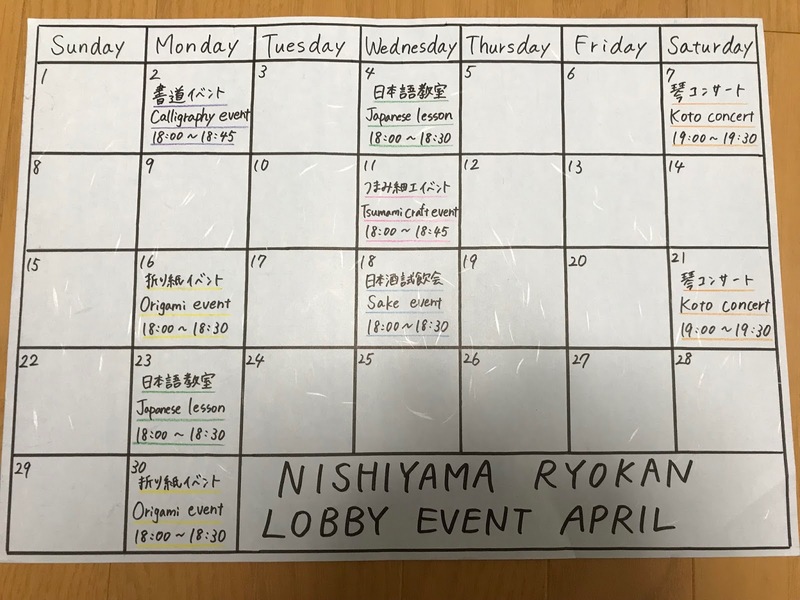 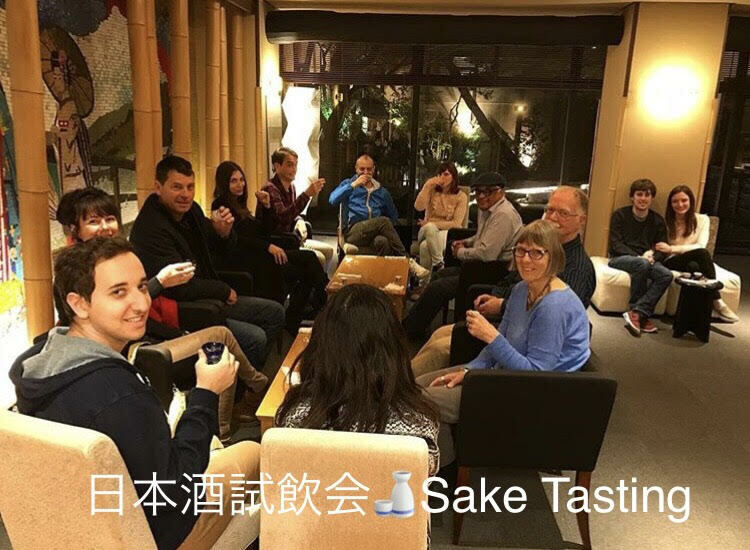 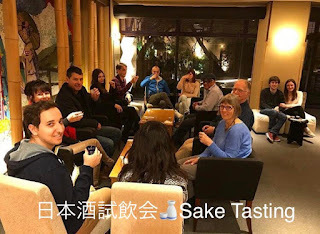 NISHIYAMA RYOKAN LOBBY EVENT In APRIL.